The Honorable Jon Kyl served as a Republican in the U.S. House of Representatives from 1987 to 1995 and in the U.S. Senate from 1995 to 2013. He is a widely respected conservative and is recognized for his expertise in water law. He helped secure a number of historic Indian water settlements, and his efforts have created greater certainty for Arizona’s water resources and forest lands. In 2010, Time magazine called him one of the 100 most influential people in the world. In 2014, Arizona State University established the Kyl Center for Water Policy at Morrison Institute, where he lends his expertise and leadership. Today he practices law with the Washington-based Covington & Burling LLP and is a visiting fellow with the American Enterprise Institute. For Sen. Kyl, public service is a family affair. His father, John Henry Kyl, was a Republican member of the U.S. House of Representatives from Iowa. During his years in Congress, Sen. Kyl enjoyed widespread partisan respect. He earned a reputation for mastering the complexities of legislative procedure, and he was known for his ability to build coalitions. He has been called a model public servant and a workhorse for Arizona. Sen. Kyl’s fellow Republicans in the Senate elected him to a number of leadership posts, including chairman of the policy committee, conference chairman, and majority whip. He was the ranking Republican on the Finance Subcommittee on Taxation and IRS Oversight and the Judiciary Subcommittee on Crime and Terrorism. 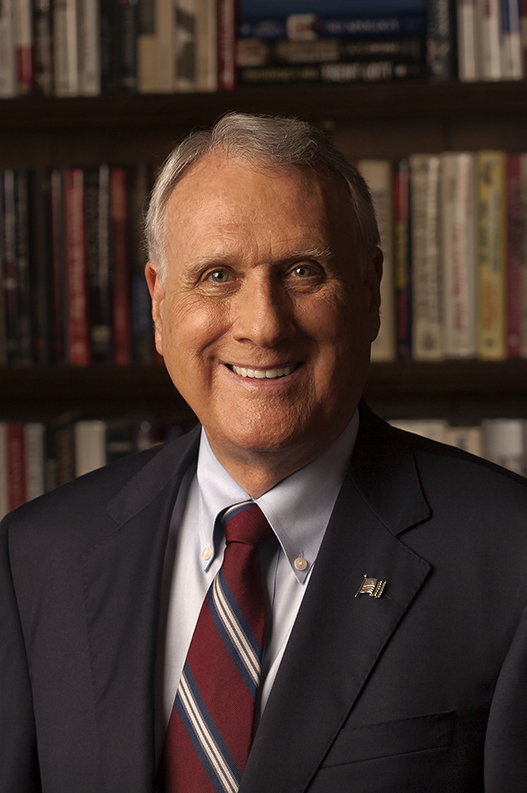 Sen. Kyl graduated Phi Beta Kappa from the University of Arizona in 1964 and received his law degree from the university in 1966. He served as editor-in-chief of the Arizona Law Review. The Honorable Jon Kyl and Caryll have been married 42 years, and have 2 children and grandchildren.